I have just finished some site renovations, and added a couple of new tabs. Rather than having all the books of Song of the Arkafina listed, I have grouped their pages under a new tab. 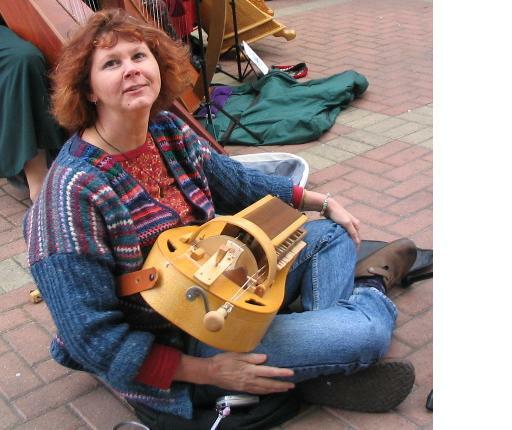 I have also added a short information page “about me” and added a new picture, of me playing my hurdy gurdy. I haven’t had this instrument out of the box in awhile, and hopefully this picture will encourage me to do so. It is difficult to play, and quite rare, so I haven’t been able to find anyone here to give me lessons. The sound is unique, and seems to elicit strong emotion–you either love it or hate it!